In the course of one year, Los Angeles area exporters cut their scrap polyethylene shipments to China by 99 percent, leaving thousands of tons of plastic looking for a home. Other countries were only able to absorb about one-fifth of the volume. 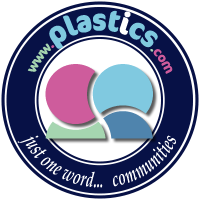 Plastics Recycling Update recently analyzed scrap plastics export data from the U.S. Census Bureau, focusing on January numbers from the Los Angeles port district. That district is by far the largest U.S. exporter of scrap plastics, handling material from all over the country brought in on trains and trucks. In all, scrap plastic exports from the L.A. district fell by more than half in January 2018 year over year. The numbers suggest it was a result of China’s National Sword campaign.